Both the Supreme Court and Congress — or both — should act to rein in district court judges who issue “nationwide” or “universal” injunctions…. … A few weeks back, I made the case that Congress should move to limit the abusive use of such injunctions. Several questioners and panelists at a Feb. 4 Heritage forum said the same thing, noting that Congress does have the authority to define and limit federal court jurisdictions in multiple ways, not just geographically. Pro-lifers, don’t fret yet: Chief Justice John Roberts did not necessarily indicate yesterday that he is comfortable with the Supreme Court’s existing pro-choice jurisprudence. 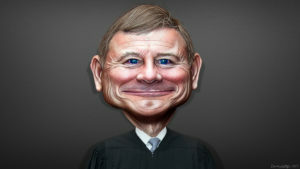 Instead, he showed he was unwilling to overturn precedent on what amounts to a procedural ruling.